The team at We Are Vertigo is the host of Ireland's first vertical wind tunnel. 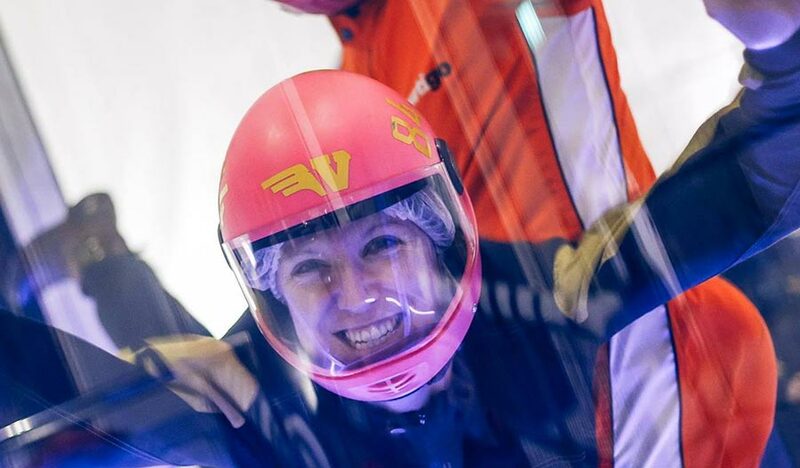 The company opened Vertigo Indoor Skydiving which is located in the Titanic Quarter of Belfast. The facility hosts flyers as young as 4 years old. Average rating of 2.4 from 7 review(s). We paid £100 for skydiving for our two children. The instructor was excellent but both my children started to panic when they struggled to breath in the tube. The 8 year old had one attempt but as he struggled to breath he went into a major panic. His older brother seen what happened and would not even attempt it. My boys were embarrassed and devastated as they had really been looking forward to it. I was advised by one of the instructors to speak to reception and they might sort something out. I made a request for vouchers to use at another Vertigo establishment at reception but a lady manager who was very unsympathetic made it quite clear they did not give refunds. I understand it was not Vertigo's fault that the activity was too difficult for my sons. However, even a part refund in the way of vouchers would have been a nice gesture after a terrible day. Not really a good way to run a business. Terrible not even a proper wind structure, would of been better having an ifly company here instead. Unfortunately I would advise anyone considering to go and try the sky diving to check out what they are getting for their money before booking. I was part of a random group of aprox 20 people and last to have a go. All in all was in the premises for aprox 2 hours and sky diving for 120 secs fell totally ripped off and would not go back. Fantastic experience, especially second part of experience when I got like 5 meters above the ground together with instructor! Must do for anybody! I am a pro flyer. While I realize the tunnel is still fairly new and trying to get into their groove, there's no excuse for poor customer service. They do not reply to emails and voice messages. I have been flying for years and this is an expensive sport, but this tunnel takes nickel-and-diming to a whole other level. Save your money and go to a proper tunnel like Milton Keynes or the like.